Legal Categories // Contract Law // Contracts 101: What is a Contract, and How Does It Operate? Contracts. 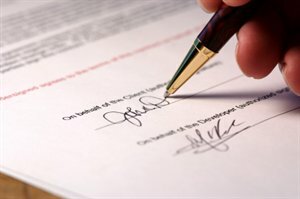 Chances are everyone has signed some type of contract, whether it was an employment contract, a purchase agreement to buy a house, or a contract to buy a vehicle. And if you haven’t actually signed a contract, then it’s highly likely that you’ve made an oral contract with another person. In fact, contracts between parties are an everyday occurrence, and they are more common than the average person realizes. Here, we will examine the basics of contracts—what they are, how they are formed, how they operate, and the 3-step formula for creating a legally binding contract. Next, let’s see how a contract is formed.